The Monument Valley Navajo Tribal Park, a 91,696 acres park inside the Navajo Nation and located next to the small Indian town of Goulding, extends into Arizona and Utah and is one of the most incredible natural structures created by erosion. You can drive through the valley on a 17 mile dirt road, which costs $20 per vehicle. The drive is approximately two hours, so leave plenty of time to fit Monument Valley in your daily activities – trust me, it’s so worth it. Time stands still in Monument Valley. There are approximately eleven main monuments along the drive, appearing in the most interesting shapes and forms. The chance is high that you will see horses and cows roaming around in the wild, sometimes even blocking off your driveway. We came across a team of horses towards the end of our trip, in the late afternoon when the sun was setting. If you ever want to experience what it feels like to be in an old western movie, there is no better place in the world for that than Monument Valley. It’s quite an experience, and one you will for sure cherish forever. Aside from the sounds of wildlife (and by that I mean the occasional bird flying around), the only noise you hear in the park is the sound of the few cars passing along. Luckily, it was not very crowded when we went, so we spent much time surrounded by only nature with nothing but the sound of the wind. We had the great idea to take our road trip in March, which got us really lucky with the weather. It was in the early 70s the day we visited the park, which was perfect for hiking and driving with the windows open. Although it became pretty cold once the sun started setting, I still believe that visiting the Southwest U.S. and especially the desert areas is better in the spring or fall. It gets extremely hot in the summer, and even though you are driving through the park, there is not much fun in constantly being drenched in sweat (especially if you take pictures). So go out there during the rest of the year, and bring some warm clothes in the trunk of your car. You’re going to want to stay in the area to do some stargazing at night! By the way, I have never been as mesmerized by the sky than during my time in Arizona. I actually had no idea you could see that many stars with your bare eyes. There are no words I can put on paper that can express what I felt looking up in the sky at night. 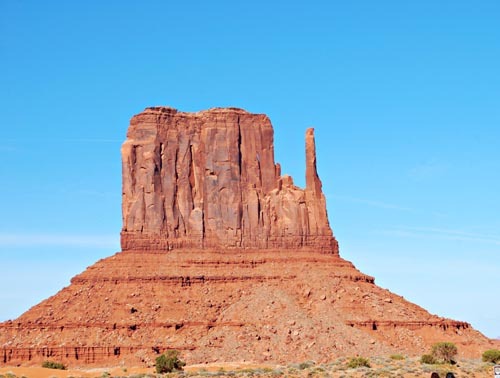 The Navajo name for Monument Valley is “Tse-Bii-Ndzisgaii” meaning the valley within the rock. 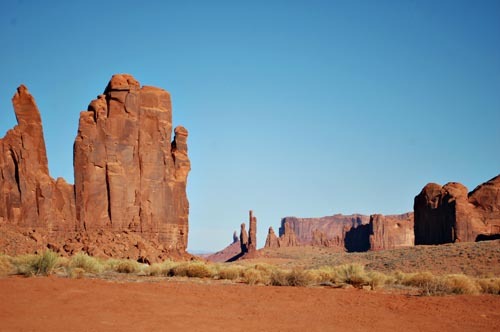 The entire Navajo reservation covers one third of the Colorado Plateau, and the Park was established in 1958 as a preserved environment by the Navajo Nation Council. 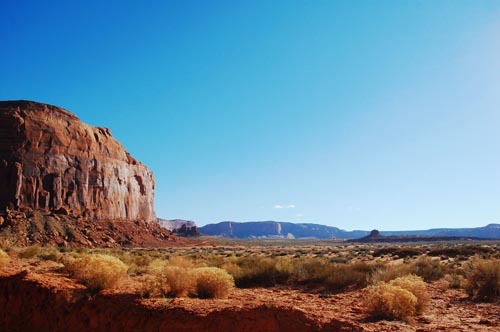 The total size of the Navajo Nation covers approximately 17,544,500 acres and is considered the largest scope of land held by a United States tribe. It covers parts of New Mexico, Utah and Arizona. The 173,667 tribe members call themselves ‘Diné’, which means ‘The People’. The people living in the park have sustained life for a very long time through simple living. They believe that the land is their canvas to the great circle of life. 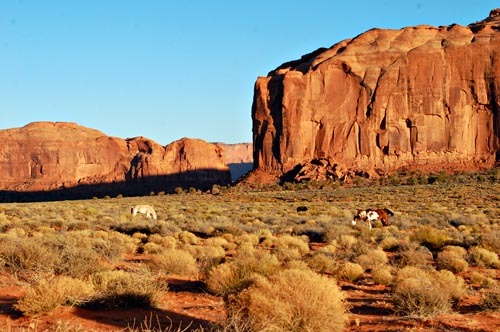 The Navajo Nation is a nation inside a nation; its people have their own economy, politics and culture, based on the raising of goats and sheep and the selling of wool. Aside from that, they are known for their arts and craftsmanship. The extraordinary ability of this tribe to become masters at adapting to modern ways of life while maintaining a traditional lifestyle is an extensive part of why they are so interesting. Aside from raising herds, they also create beautiful jewelry, well-defined structures and pottery and gorgeous paintings. If you stop by the Hogan Village, you can explore the small mud covered homes still used today by the elderly or for ceremonial purposes. Hogan means “home” to the Navajo people and, being strong believers in the balance of life, they created both “female Hogans”, used as permanent homes, and “male Hogans”, used as temporary homes. The Hogans are built as a reflection of harmony. 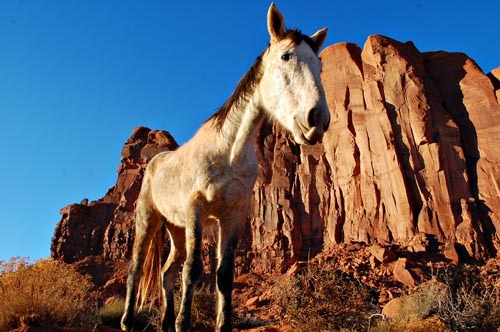 The Navajo people strongly believe that there is a balance of life between all living creatures and the universe. By living within the boundaries of this balance, they are protected by evil. 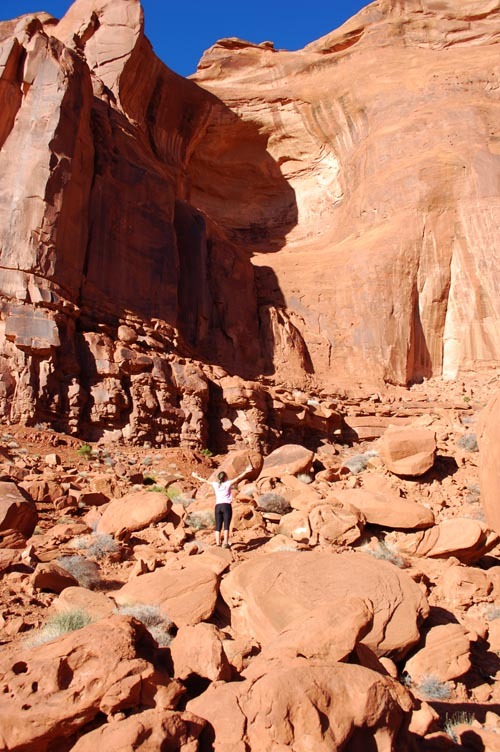 The structure of the Hogans reflect the natural surroundings of the Navajo people. The roof represents the sky, and the floor represents “mother earth.” A medicine man provides his blessing to the Hogan when construction is terminated, to provide happiness, protection and the promise of a shelter. The latter is an important concept for the Navajo people. They considered Hogans to be sacred habitats, and to be a refuge to those that lack one. If you want to learn more about this Native American tribe (one of the largest in the nation), you can stop by the Monument Valley visitor center and museum, which offers a wide array of exhibits. The Valley within the Rock is a place of peace and tranquility. It provides a good opportunity to bond with nature and to immerse in the lifestyle and practices of the Navajo people. During a good three hours, silence and solitude will submerge you, and thoughts of that fast-paced, big city life will fade. Connect with the Diné, understand their simple way of living and admire the grandiosity of the rock formations that surround you.